Suki Kim is the author of Without You, There Is No Us: My Time with the Sons of North Korea’s Elite (Crown, 2014). 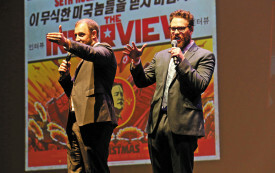 The film perpetuates America’s myth of itself as the guardian of global peace. But in reality, it’s the United States that has too hastily escalated sanctions.